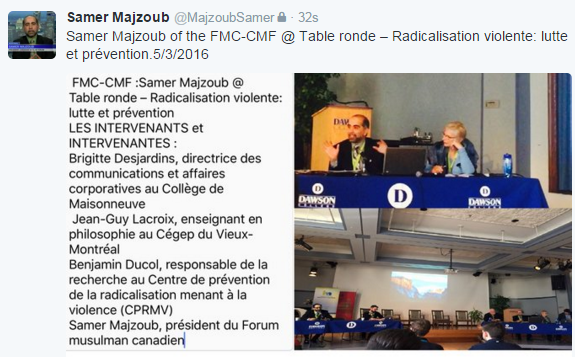 Samer Majzoub of the FMC-CMF @ Table ronde – Radicalisation violente: lutte et prévention.Dawson College-Montreal. 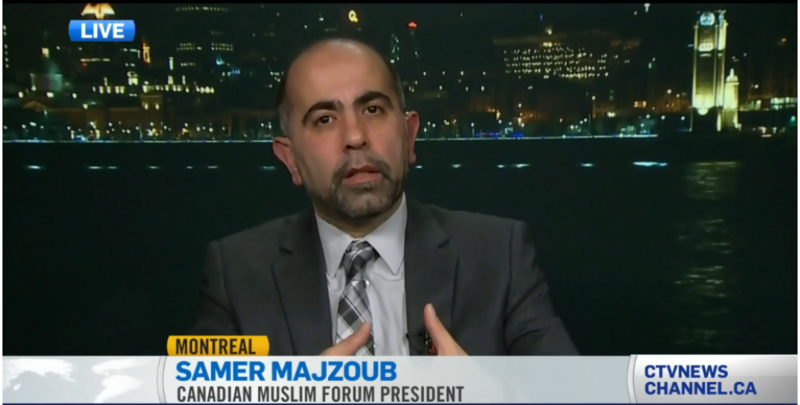 This entry was posted in conference and tagged (FMC-CMF), Canada Muslims, Canadian Muslim Forum, Canadian Muslims, Dawson College, Forum Musulman Canadien, Islamphobia, lutte et prévention, Montreal, Quebec Muslims, Radicalims, Radicalisation violente, Samah Jebbari, Sameh Jebbari, Samer Majzoub, violent radicalism by samermajzoub. Bookmark the permalink.